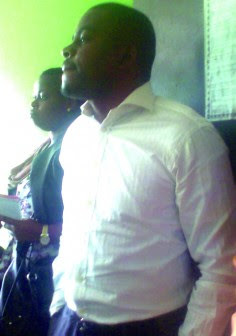 A 34-year old man, Kehinde Paul Layode, has been arraigned before a family court in Ikeja for allegedly defiling a three-year old girl (name withheld). The incident, which happened at 3/5, John Crescent, Igando, Lagos, Southwest Nigeria, was reported at the Igando Police Station. The accused, if found guilty, risks spending a minimum of five years in jail under the Criminal Laws of Lagos State. According to the girl’s mother (name withheld) who spoke with P.M.NEWS correspondents, Kehinde was one of her neighbours and she left her daughter in his custody to get drugs for the girl when the man allegedly took advantage of her. The girl’s mother said she was shocked when the door was eventually opened and she discovered that the girl had been defiled. “I insisted that he opened the door. At this point, my daughter was lying down on the bed but was not sleeping. I asked him why he told a lie but he did not respond. I only observed that my girl was looking rather disturbed. “When I opened her pant out of suspicion to check her, I saw sperm in between her thighs. I got really mad at him and asked him what happened but he went really wild and told me that he did not do anything. ‘How could I have molestd her?’ he asked me and when neighbours came around, they were also as surprised as I was,” she narrated. The doctor’s report confirmed that the girl was defiled following the tests carried out on her. It was also alleged that the accused had pleaded with the family to settle out of court but the girl’s family insisted that they wanted justice to prevail. When the matter was initially taken to the magistrate’s court, he pleaded not guilty and was granted bail in the sum of N250, 000 with a surety and the matter was adjourned till Friday, 22 February, 2013. However, the matter was tranferred to the family court. The court did not sit on 22 February and the matter was adjourned till 8 April, 2013.
why did you claim that the accused has been sentenced to 5 years in prison when the case has not been heard or judged? Some men are cursed yet they make it more grievous by commiting a sin that would extend the curse to their generations. Why taking advantage of a teenager when u hv a wife ? Is it dat some men lacks self control ?